Now I'm off to rest and read for just a bit while Laila finishes her quiet time. I'm worn out and there's still laundry to fold and dinner to cook. Yawn! Good thing I planned an easy dinner night, huh? 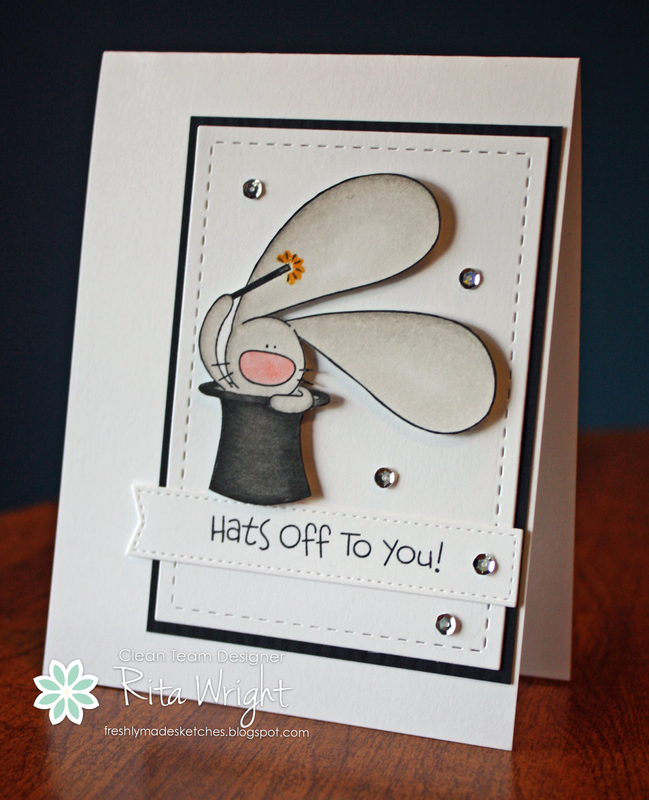 Labels: Copics, MarkerPOP, Simon Says Challenge, Stampin' Up! I am off to finish up some cleaning! Check out the blog for more inspiration. I hope your weekend is going well. We are working around the house preparing for my mom to get here on Tuesday. We are all excited, but there's lots to do before then! Laila wants to help do EVERYTHING right now and that makes it all take way longer. She actually went to lay on her playroom floor and cry today when I wouldn't let her do the dishes. Crazy! One day she'll be crying because she HAS to do them. We've been letting her, but she waited until I was down to the heavy pots and pans to ask today. I'm also struggling a bit mentally again. I had went to seeing my counselor every three weeks, but I think I'm going to go back to every two. I need the support right now. Laila will be going to Mother's Day Out for two days a week this Fall, so I am hoping that having that little break each week will help my sanity and allow me to catch up with all that I feel I'm always behind on. 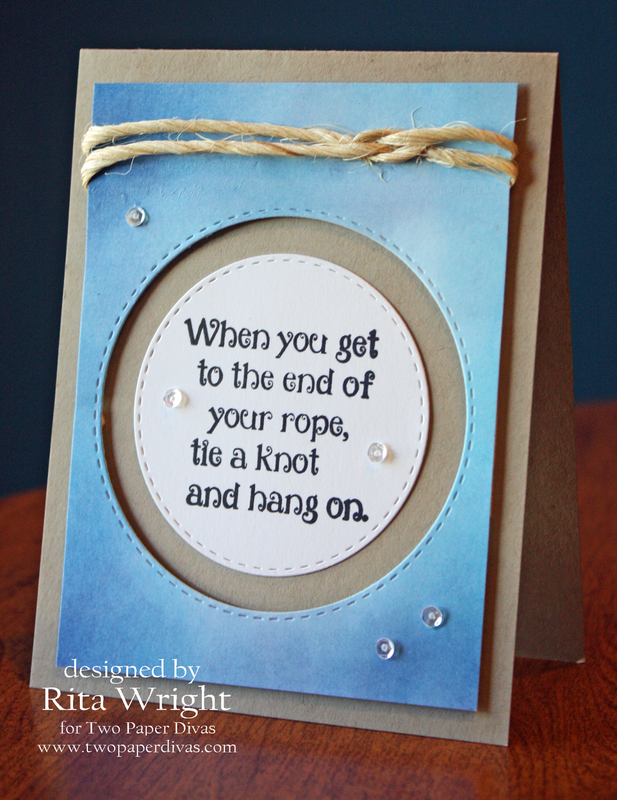 So like the stamp says, I'm trying to tie a knot and hang on! 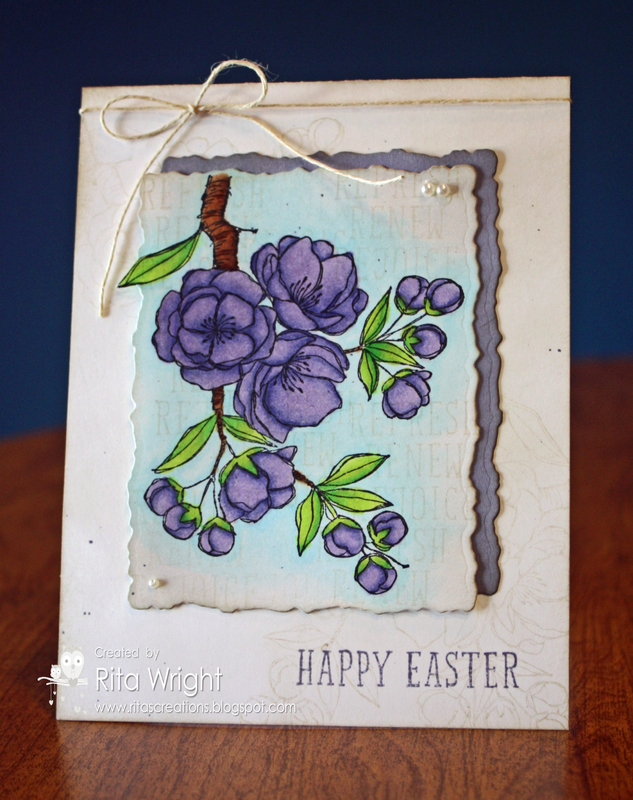 I'll see you back tomorrow with some stamping I'm doing with my club ladies. We are having an informal meet up to just work on whatever, but I did figure out a project or two I wanted to share with them. Laila had a blast with edamame this week. (and you can see the stool that she drags around the kitchen to 'help' there in the background.) lol Grammy doesn't know what she's in for this trip! 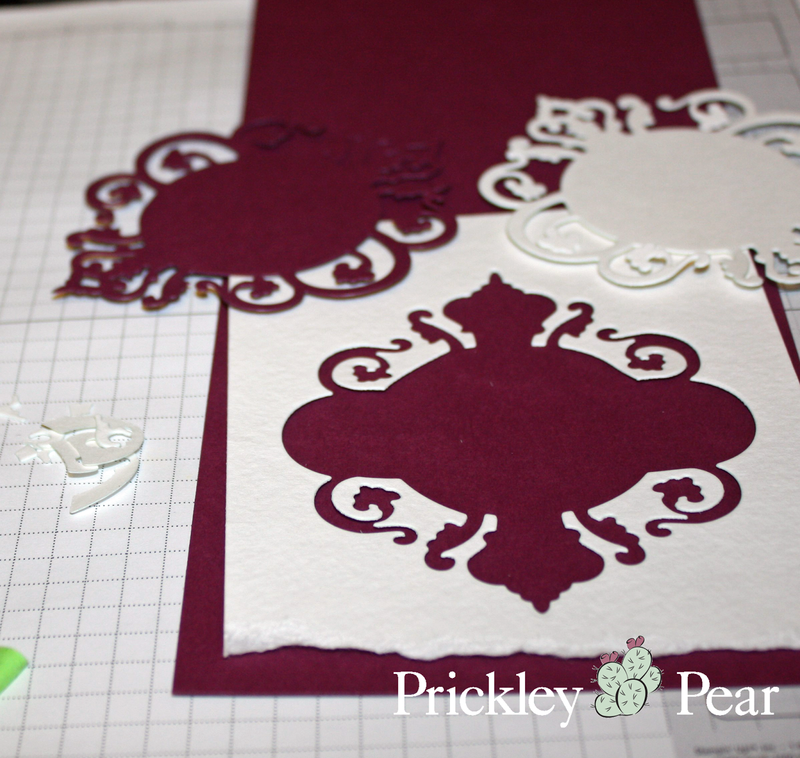 Today I want to share a tutorial for inlaid die cuts. If you mail a lot of cards, this can come in handy because it will decrease the bulk of your card while also creating a really cool look! 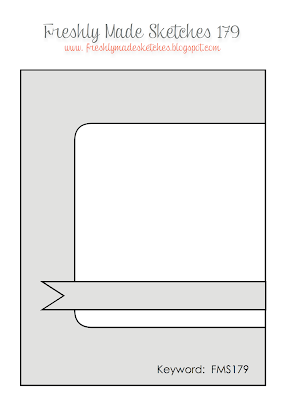 You'll need at least one die, but you can layer multiples if you like. 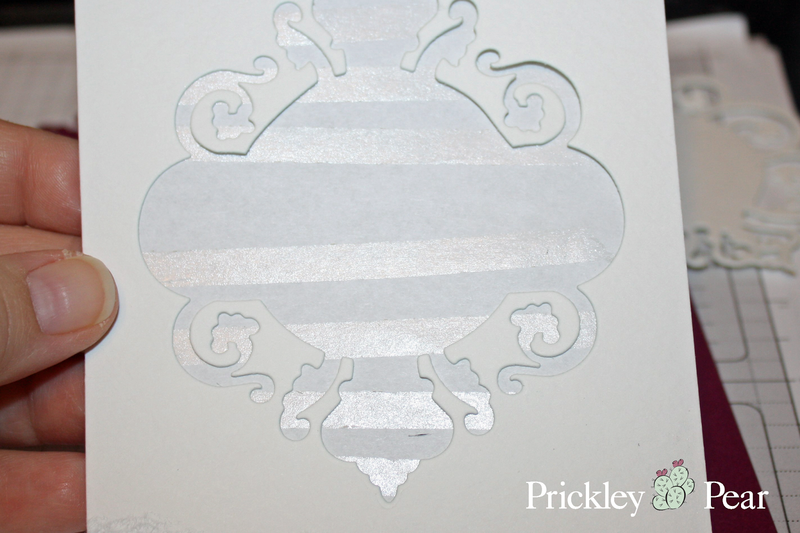 For this technique, you need to have an idea of what you want your finished card to look like so that you cut your paper correctly. I wanted to recreate a card I'd made before, so that part was quick for me. When you are starting from scratch, it might take a little longer. 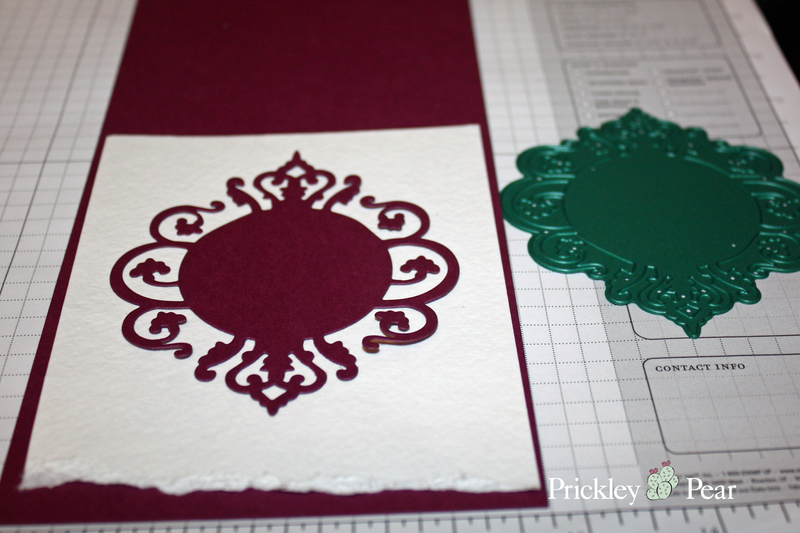 The first step here was to cut the die cut from the colored card stock and then cut my base and layer. I used watercolor paper for my second layer; with intricate dies like this beautiful Circular Pendant, the heavier paper seems to make this technique easier. 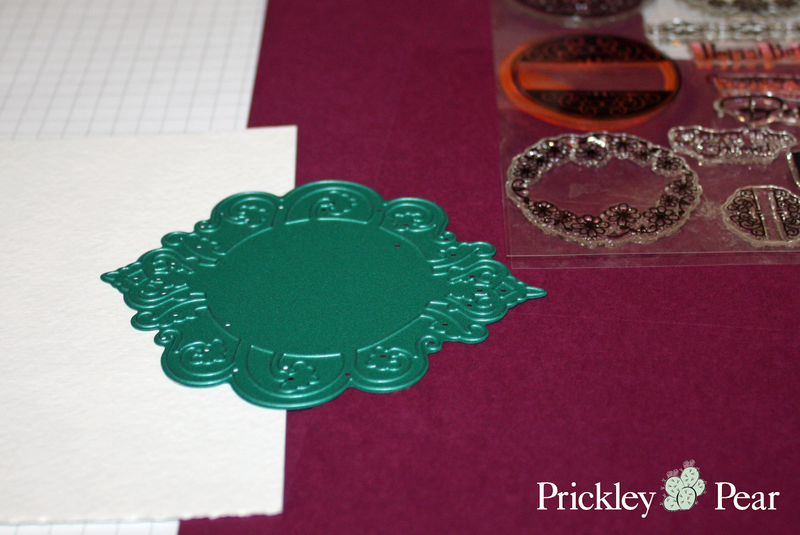 Now you need to decide where you want your die cut on the second layer and lay down the die. I used a bit of Post-It tape to keep it where I wanted it and then ran it through my Big Shot. At this point I have my base, the watercolor paper layer with the die cut out, and the extra die cut that I did in the first step. 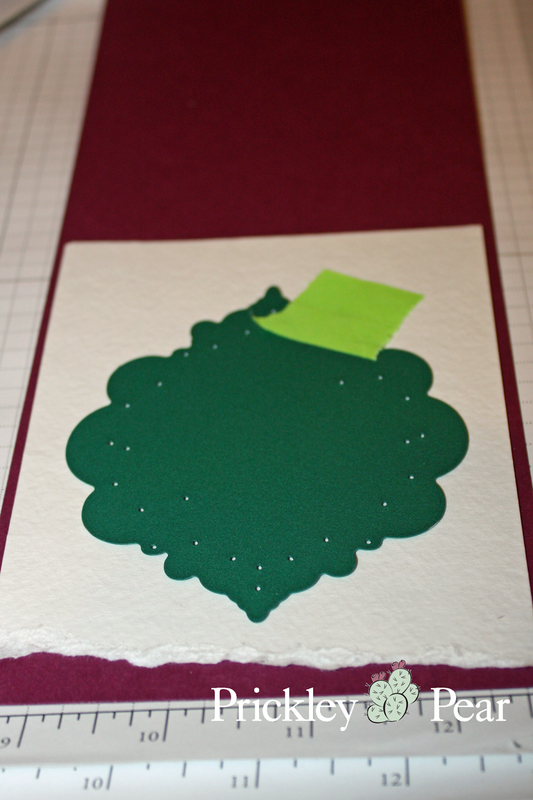 I also have the little pieces left from cutting the die from the watercolor paper. You want to save those as you'll use them to fill back in. There are a lot of options for this step, but for me the easiest way is to cover a piece of copy paper with some adhesive and add it behind the watercolor paper layer. 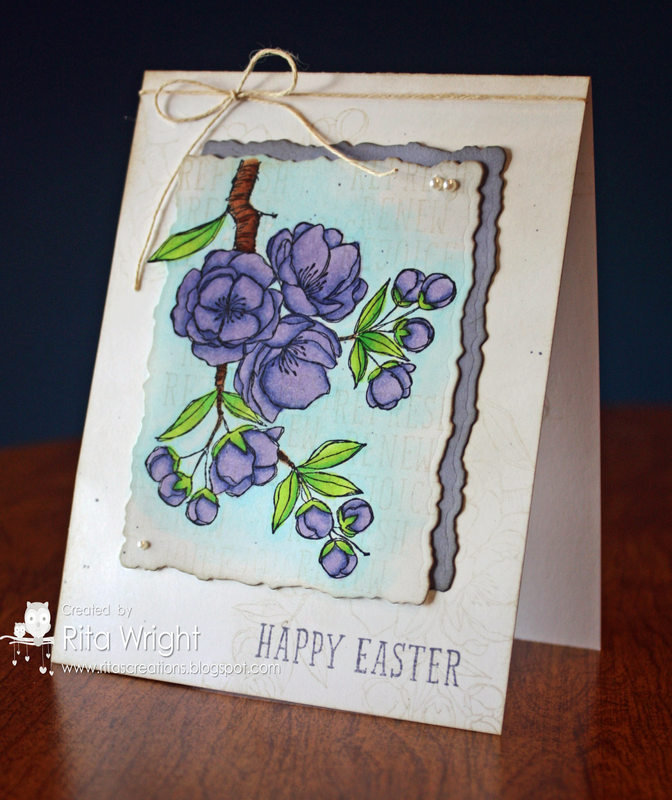 I then added the purple die cut and the little pieces of watercolor paper. And here's the result. 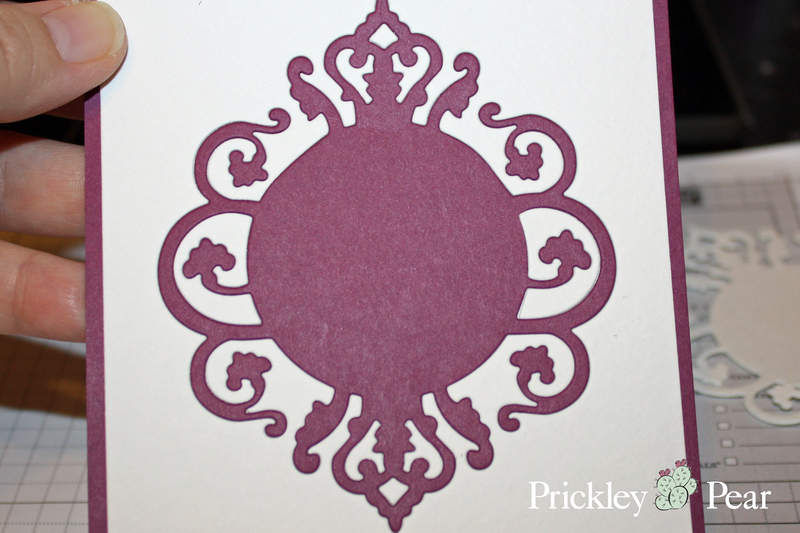 The die cut is completely inlaid in the watercolor paper! Less bulk, less weight and kind of a wow! 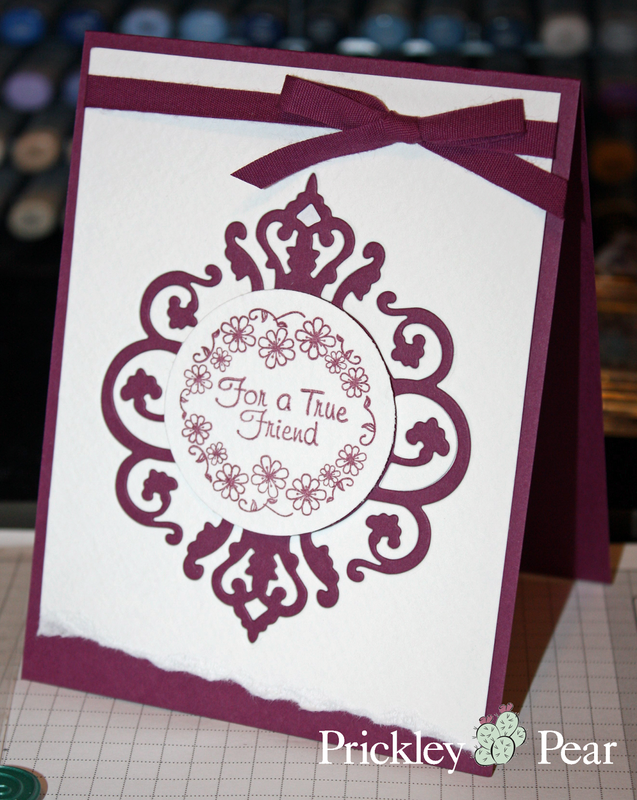 I stamped and cut out one of the cute circles from Circle Sets-Sentiments and added a sentiment from that same set. 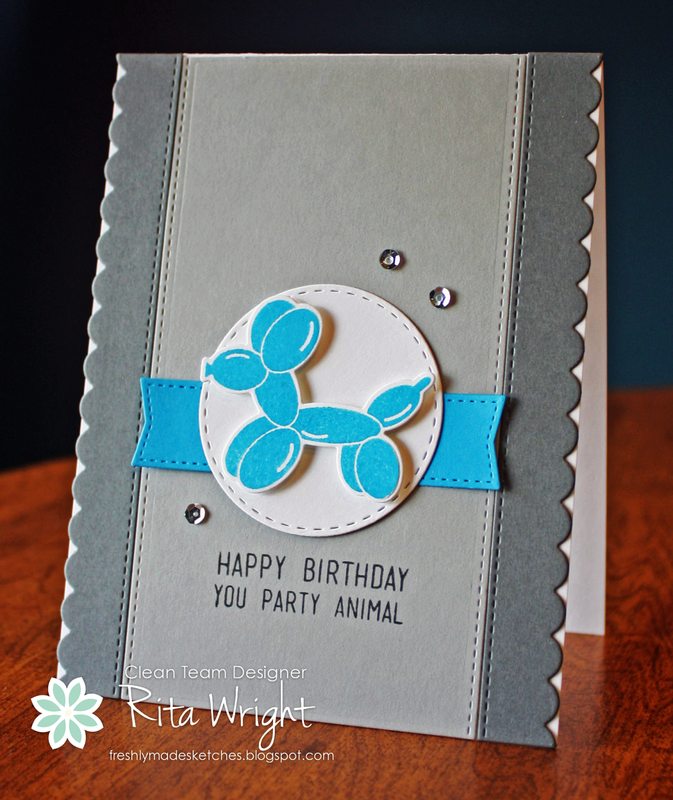 A bit of ribbon and I have a cute, simple card that I can quickly mail off to a friend. I hope you enjoyed the tutorial and I hope you'll give it a try. It's time for a new sketch at Freshly Made Sketches! 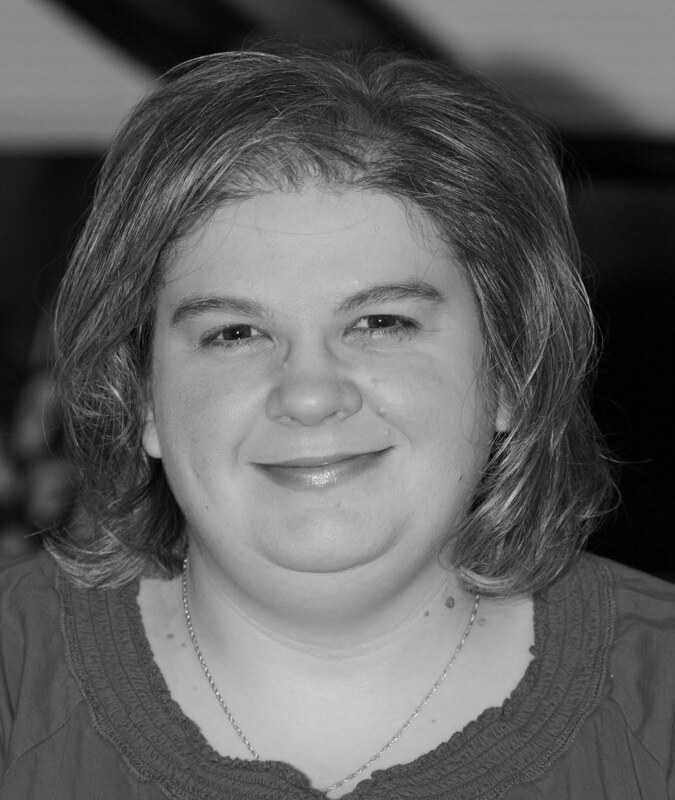 The super sweet and talented Amy is our hostess this week. I love the sketch she gave us. The design team really came up with some fabulous ideas with it and I know you will as well. So much crazy in this one. Monday again! How does that happen so much? 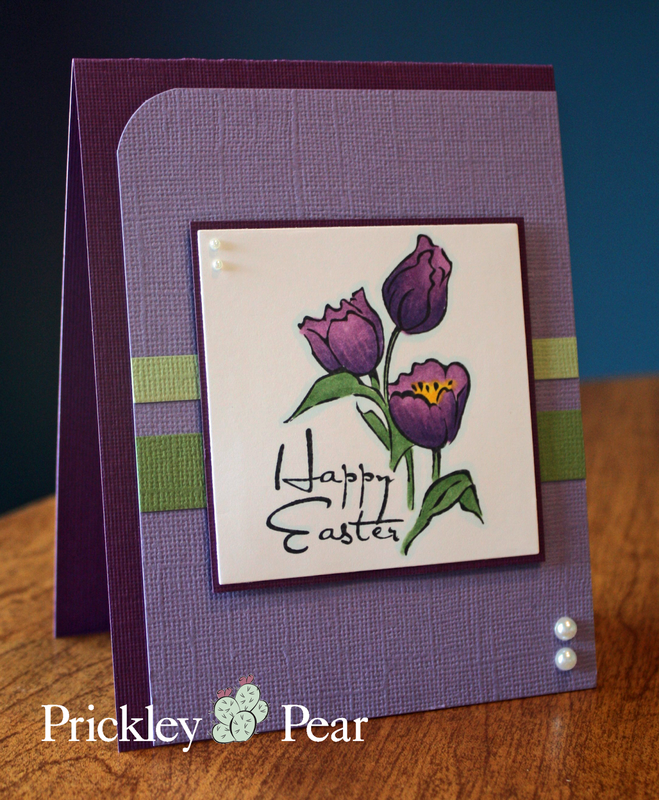 lol I have a little Prickley Pear card to share with you today. I love this image so much and coudn't resist coloring it again. It's such a fun one to practice using my Copics. 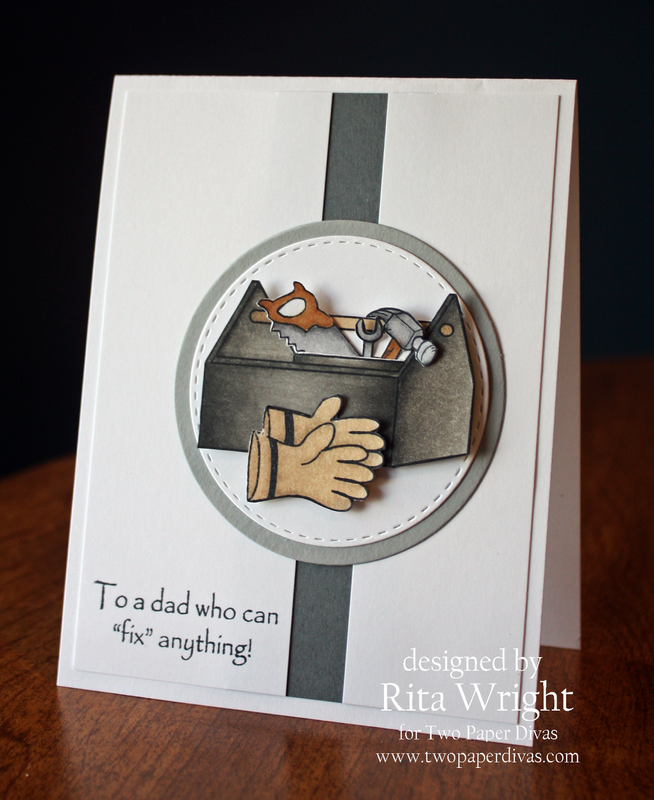 :) I kept the rest of the card simple so that the image remained the focus. I didn't get much stamping done over the weekend. My shoulder has been bugging me so I tried to take it easy and rest. It seems to feel a little better this morning, so I hope to get some crafty time in today. My mom will be coming to visit next week, so lots of cleaning and getting ready for that to fill the week as well. Be sure to check out the blog for more inspiration today! Happy Friday! 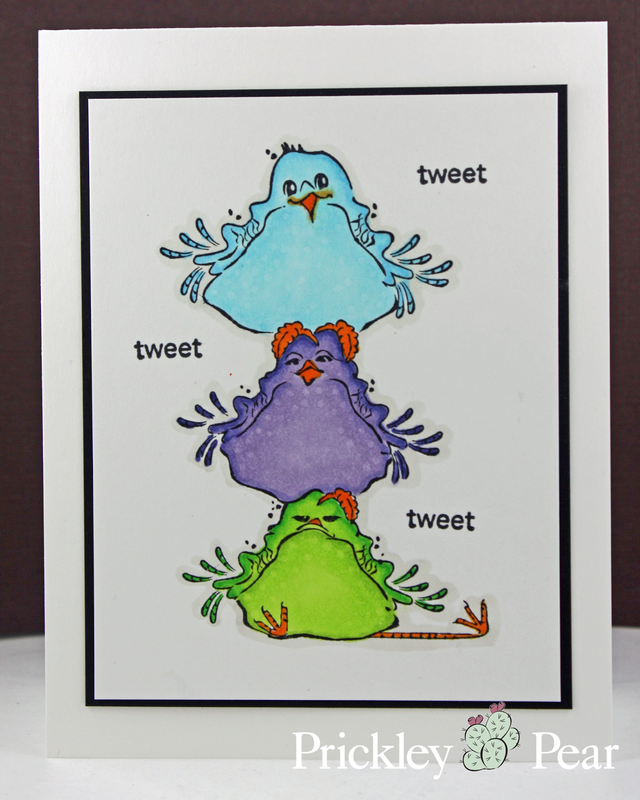 I wanted to share a card I made for Two Paper Divas. It uses a newer set called You Are a Handy Guy and it is perfect for those handy dudes in your life. I love coloring the images and I think you will as well. 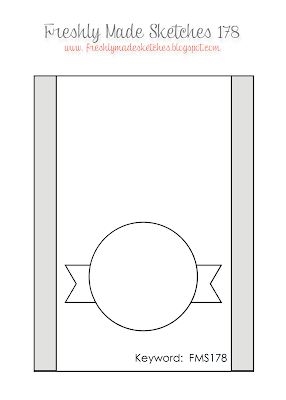 :) They would also be fun to paper piece if you like that better than coloring. She needed me to take her picture while I had the camera out. lol She's so silly! We are off to Costco to pick up pictures and dinner. I am getting ready to dive into Project Life, so stay turned for that! I am pretty clueless, but I'm going to try. 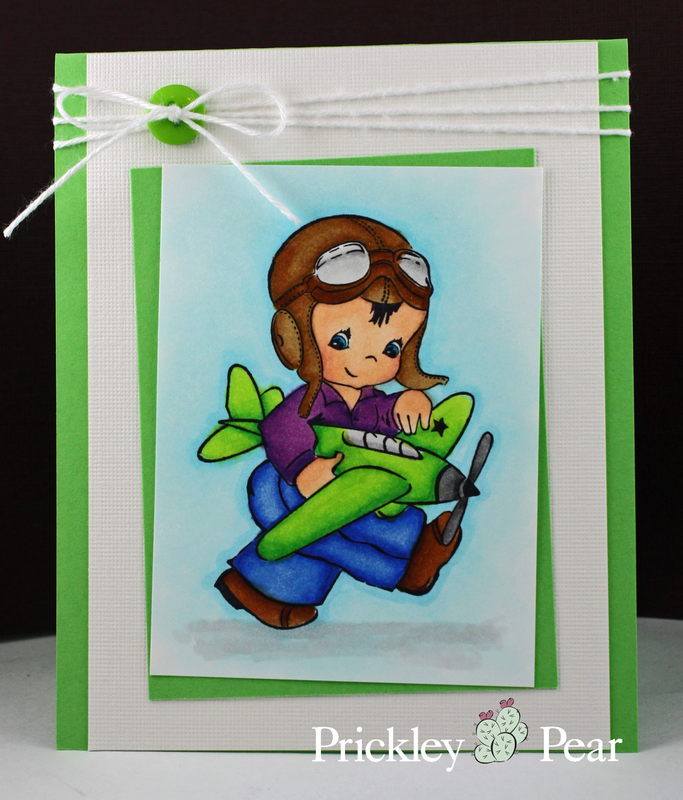 The design team has a fun mix of cards for this week, so be sure you go by the blog and see all the great inspiration! Be sure to check out the blog for a lot more inspiration. 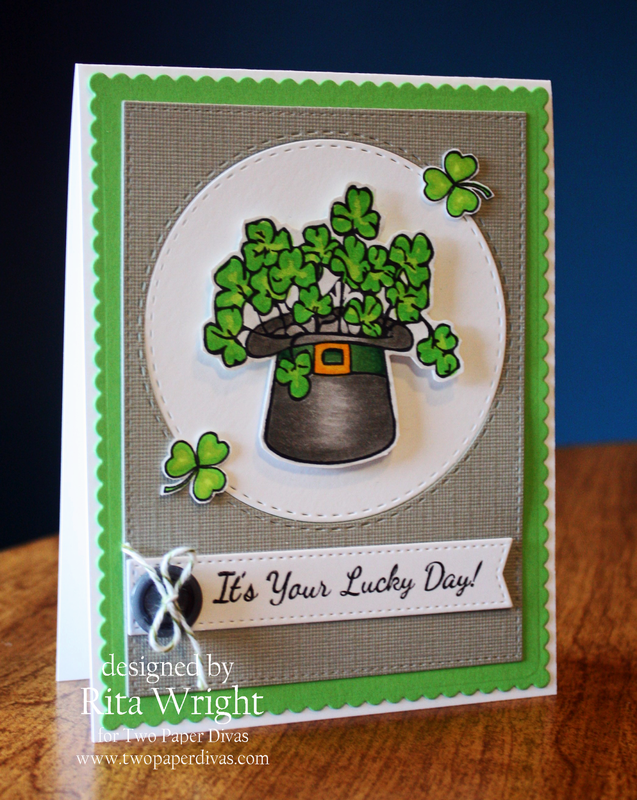 Today at Two Paper Divas we are celebrating St. Patrick's Day with a blog hop! We are featuring the Lucky Me set and one lucky person who comments on the hop will win the set for themselves. Super fun, right?! Yay! Will you be the lucky one?! 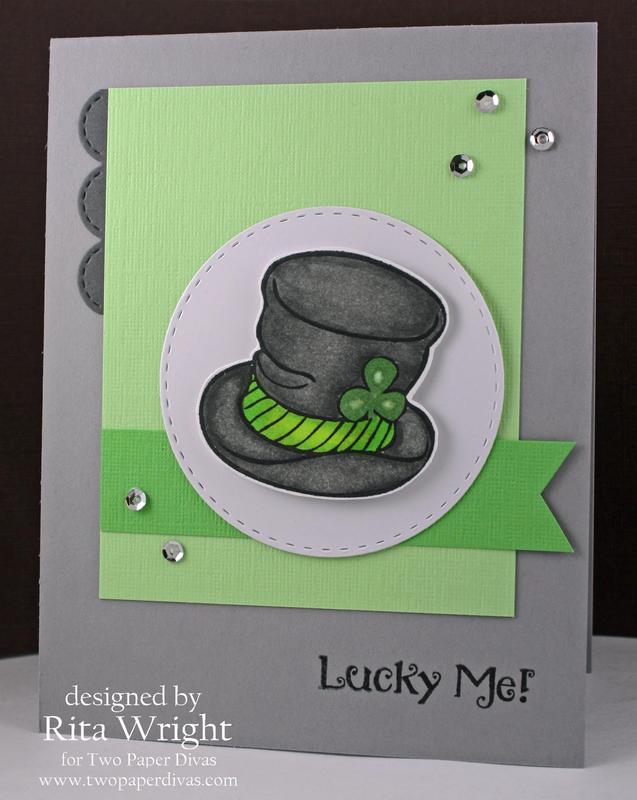 There's also a free template for a top hat over on the TPD blog, so you need to swing by and pick that up too!